People keep track. In the eighteenth century, Benjamin Franklin kept charts of time spent and virtues lived up to. Today, people use technology to self-track: hours slept, steps taken, calories consumed, medications administered. Ninety million wearable sensors were shipped in 2014 to help us gather data about our lives. This book examines how people record, analyze, and reflect on this data, looking at the tools they use and the communities they become part of. 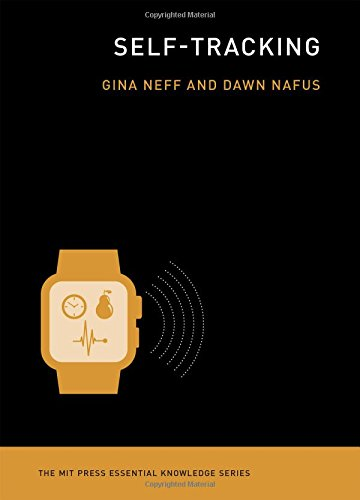 Gina Neff and Dawn Nafus describe what happens when people turn their everyday experience―in particular, health and wellness-related experience―into data, and offer an introduction to the essential ideas and key challenges of using these technologies. They consider self-tracking as a social and cultural phenomenon, describing not only the use of data as a kind of mirror of the self but also how this enables people to connect to, and learn from, others. Neff and Nafus consider what’s at stake: who wants our data and why; the practices of serious self-tracking enthusiasts; the design of commercial self-tracking technology; and how self-tracking can fill gaps in the healthcare system. Today, no one can lead an entirely untracked life. Neff and Nafus show us how to use data in a way that empowers and educates.